If you thought Kerala’s beauty starts with its golden coasts and ends in the backwaters and plantations, then maybe, there’s one more place you should discover. In a quiet corner of the southeastern part of the state, sandwiched between the mountain ranges of Western Ghats, is a quaint little hill town called Ponmudi. With the rolling hills of dense greenery, waterfalls, streams, and tea-gardens, this Kerala destination is perfect for those who love to spend a few days in the lap of the mountains but stay away from the extreme cold. 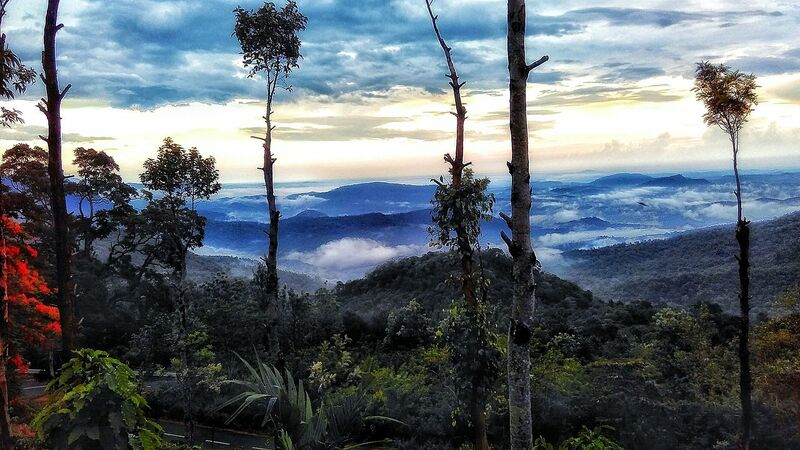 Ponmudi is situated about 55.2 KM north-east of Trivandrum city. You can fly to Trivandrum and then book a cab to reach Ponmudi. The settlement got its name from a peak of its namesake on the Western Ghats. Also, translated as ‘The Golden Peak’, in the regional language, this mountain remains the highlight for travelers. Scale the heights of Agasthayarkoodam- the highest peak of the region at 1868 ft. above the sea. You would, however, need permission from the local Forest Department. 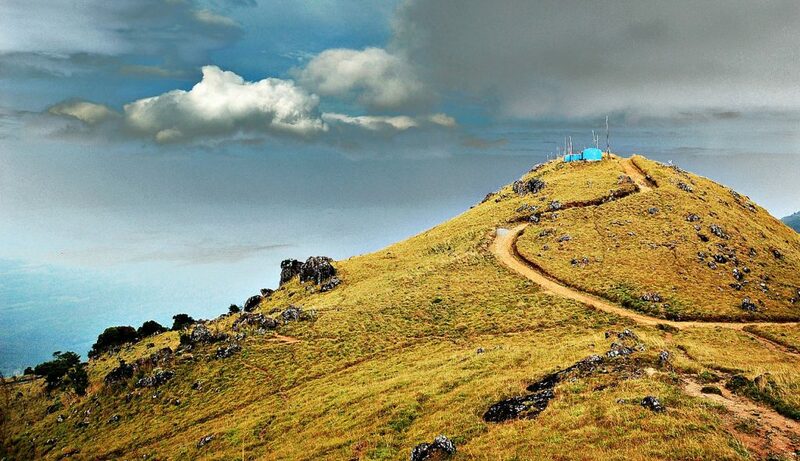 You can also trek to the Ponmudi peak from its base at the Golden Valley. The foothills of the Golden Peak is replete with dense tropical forests, plantation, with gurgling streams and rivulets, cutting through the land at every turn. The valley offers breathtaking views of the surrounding mountains. The Kallari River is a major water body that runs through the wilderness of Ponmudi and makes for a great adventure. Trek through the nature trails or waddle through the pebbled bed and cool waters of the rivulets. You can also spend a day fishing on the Kallari. The colorful wooden and stone cottages clustered over the grasslands make for exquisite photography subjects. The Peppara Wildlife Sanctuary is one of the most notable and popular sightseeing places where most tourist go. 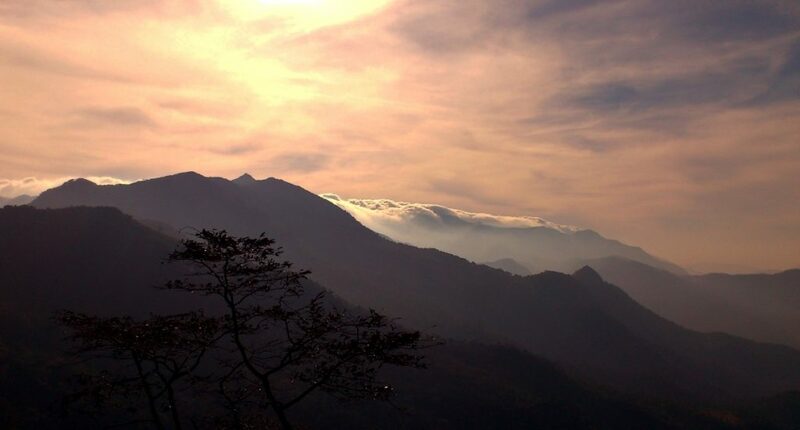 This is a part of the Agasthyamalai Biosphere Reserve. Spread across 53 sq. km. this nature reserve is home to numerous wild animals and birds like Asian elephants, sambar deer, Indian leopards, lion-tailed macaques and more. For avian lovers, you will find birds and butterflies aplenty in this sanctuary. Information is that about 59% of Kerala’s bird population is found in Ponmudi. The forest grasslands are breeding grounds for Malabar grey hornbills, Wayanad laughing thrush, broad-tailed grass birds, Nilgiri Pipit, among other species. The highest and most popular waterfall, the Meenmutty Falls sits amidst the forested mountains, at about 3 km from the Kallar Main Road. The highlight of these falls lies in its access more than the site of the falls. Trek through the lush greenery and natural ponds to reach the Meenmutty Falls. The rocky embankment at the base with a pool of clear water makes for a perfect respite after a long walk. The best time to visit this place is during or after the monsoon when water levels are high and unravel the real beauty of the waterfalls. Regatta or long boat races are one of the key elements of Kerala’s culture. An age-old tradition, the Aaranmula Boat Race in Ponmudi, is a sight you cannot miss. Every year, in the months of August and September, the boat race takes place on the Pampa River. This water sport forms a part of the Aaranmula Temple festival. Watch the skilled oarsmen as they cut through the water with finesse and beat the competing teams. This is the time when thousands of rural folks visit from the neighboring villages to take part in the celebrations. Blessed with a temperate climate all year round, and pure natural surroundings, and a vibrant culture, Ponmudi will surely redefine your concept of a typical holiday in Kerala. 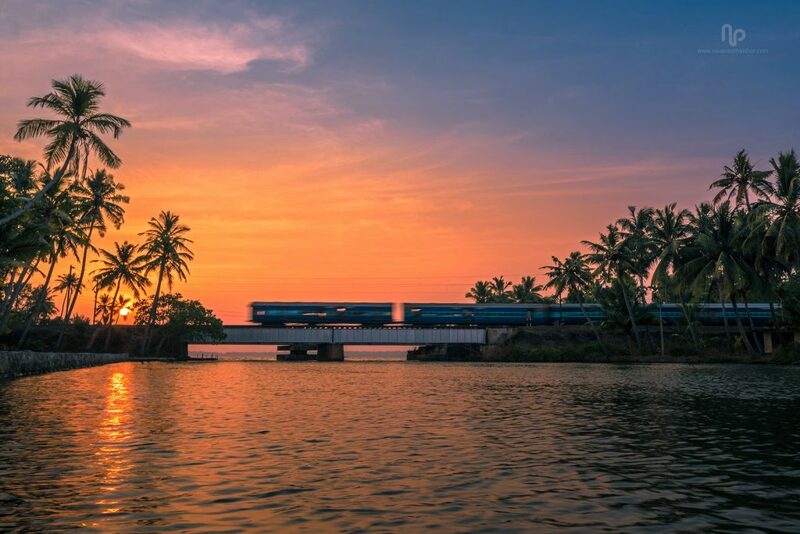 If you thought Kerala’s beauty starts with its golden coasts and ends in the backwaters and plantations, then maybe, there’s one more place you should discover.